This is my first "one"--my first DIY maxi skirt. I've been looking at maxi skirt tutorials for while now, and hadn't really found one to my liking, so I decided to figure it out on my own. I enjoy sewing, but sewing from scratch has never been my strong suit. 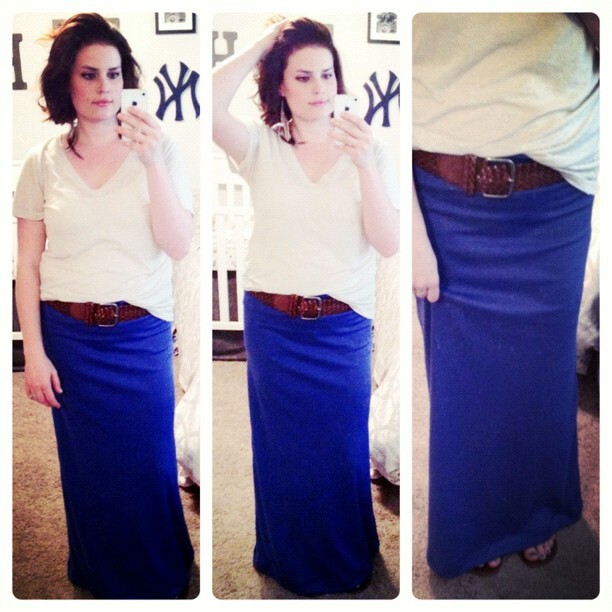 Turns out he maxi skirt is super simple, and now I don't know why I was so intimidated. Click here for the tutorial.